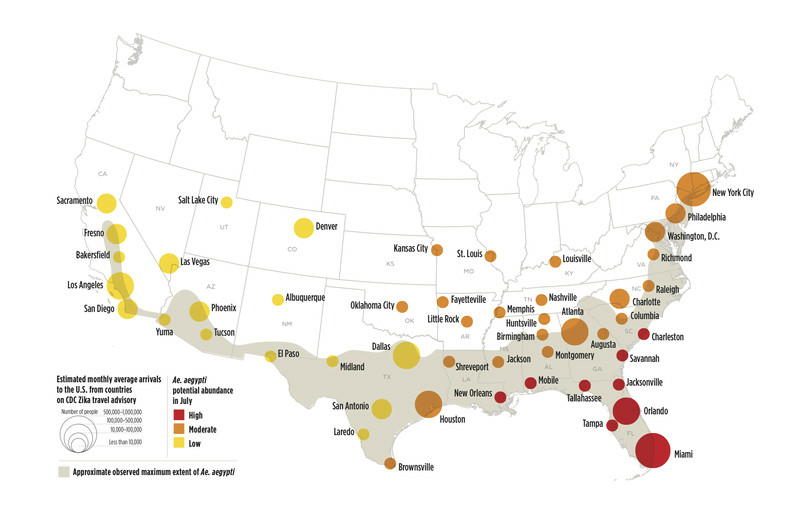 The National Center for Atmospheric Research has produced a map showing the relative risk levels of major cities in the United States for Zika virus this summer. The map appears below and details may be read in this article. I just thought I'd pass it along.